The year 2002 saw two Catholic anniversaries take place in South Africa: the 150th anniversary of the arrival of the Oblates of Mary Immaculate in Natal; the 50th anniversary of the proclamation of Our Lady of the Assumption as principal patron of South Africa(cf. Nova et Vetera, June/July 2002). The history of the Catholic Church in Southern Africa, however, goes back to the arrival of Bartholomew Diaz at Walvis Bay on 8th December 1487. He appropriately called it the gulf of Santa Maria de Conceicao. 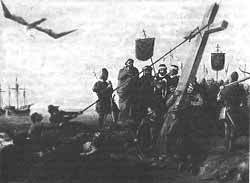 The first Mass, celebrated perhaps in late December 1487 or early January 1488, was celebrated on the island of the Holy Cross (named as such by Diaz), just off Port Elizabeth. 10 years later Vasco da Gama, on his way to India (algoa = Al Goa = to Goa), would,on Christmas day sight the land to which he gave the name “Tierra de Natal”. These explorers also brought missionaries with them.These priests and brothers did not concentrate on evangelising South Africa, albeit that they remained present in the Cape. It was to the west and east coasts of Africa that the missionaries centered their apostolate, the Jesuits arriving in Angola and Mozambique in 1560. ”One year later, a first attempt to evangelise Zimbabwe was made by the Jesuit Father Goncalo da Silveira. His mission was very short lived as he was martyred on 16th March 1561 near the present border with Mozambique, not far from Tete. Next came the Dominican Fathers who established themselves south of the Zambezi and remained there until 1775. The Dominicans tried to influence King Munhumutapa himself, but they succeeded in taking some of his sons, Miguel, Constancio and Joao, all of whom became priests, only to die in Goa and Brazil. The kingdom of Munhumutapa did not, on the whole, accept the Catholic Faith. The Jesuits made a second attempt and returned in 1607, remaining there until 1759. After 1775 all Catholic Missionary work ceased in Zimbabwe until 1879 when Catholic priests once again entered Zimbabwe, this time coming from Grahamstown, South Africa. The English Jesuit Fathers and the Dominican Sisters from King William’s Town returned with the Pioneer Column and established Chishawasha Mission in 1891 and the Dominican Convent School in 1892 in Harare. (The first two schools in Zimbabwe were Catholic; the Dominicans in 1892 and the Jesuits “Saint George’s College” in 1896. Ed.). What was the situation in South Africa? The Dutch, with Jan van Riebeek as the first Dutch Governor of the Cape, arrived at Table Bay on 6th April 1652. How different it was though, to the arrival 150 years earlier, of Vasco da Gama at Mossel Bay. Whereas the latter had been given orders by King John II of Portugal to “first spread the Christian Faith and secondly to gain the riches of the East”, (The Catholic church in South Africa, p.1) all Catholic priests were excluded with a religious intolerance by the former, (ibid p.4) and from the first no Catholic settlers were allowed there (ibid p.5). “In 1660 a French Bishop, wrecked in Table Bay, was forbidden to say Mass. Yet twenty five years later a party of Jesuits was able to land because they were not only priests but also astronomers. The six astronomer-Jesuits wrote: ”Although we were engaged in observations day and night, they were not our only occupation. Hardly had we taken possession of our new observatory when the Catholics of this Colony, who are fairly numerous, got to hear of it and showed very great interest. In 1795 the British occupied Cape Town to hold it against the French, but the Dutch regained it in 1802. On 25th July 1804, the Commissioner General at the Cape published an ordinance promising religious toleration. At once three priests arrived from Holland, one of them, Fr. Joannes Lansink, being appointed Prefect Apostolic in 1805. However, Cape Town fell to the English in January 1806, and the British governor, Major-General Sir David Baird, lost no time in expelling the three priests who had so recently arrived; the first Prefect Apostolic of the Cape died at sea on his way home. In 1814 an attempt was made to find a successor to Father Lansink. 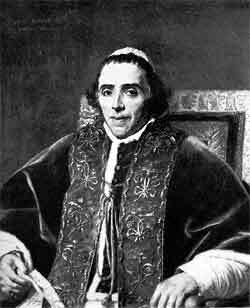 Thus it was that Pope Pius VII, in February 1818 appointed the Benedictine Dom Edward Bede Slater as the first Vicar Apostolic of the Cape. (1818-1832) He never set foot on South African soil as the Government in London forbade him to go there, so he went to Mauritius where he was the first Vicar Apostolic there also. Likewise his successor, Dom William Placid Morris resided too in Mauritius, never putting foot on South African soil. But with the appointment of Bishop Raymond Griffith O.P. as third Vicar Apostolic of the Cape in 1837, the history of the Catholic Church as a visible institution in South Africa begins. This we will see in another article.